Initially we decided to eat burger for dinner tonight at this new place called The Burger Lab.. Conveniently we forgotten to bring our phone or iPad so no Internet resulted us in searching for the place about an hour in vain. 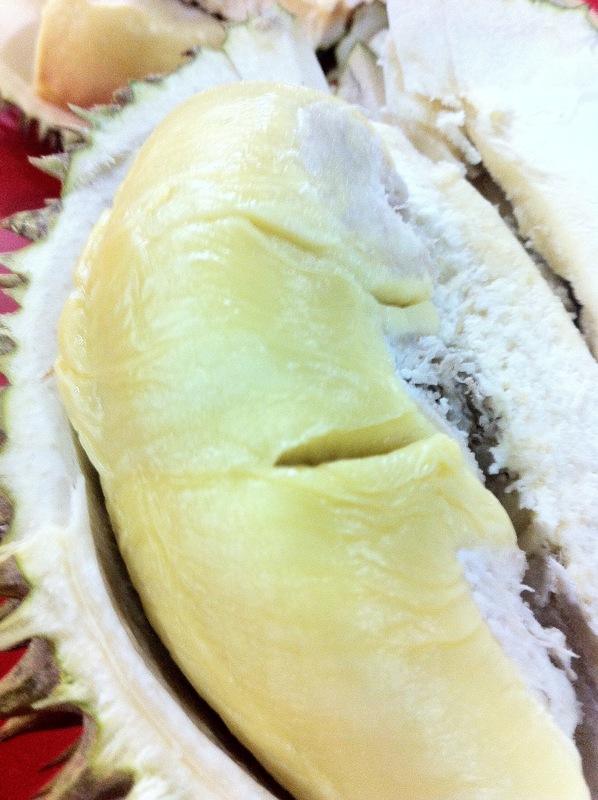 I know some people just can’t simply tolerate durian due to its smell but I just LOVE durian! Not only that, usually durian season lasts from May to August but nowadays it is available all year long although scarcely. During durian season, durians can be as cheap as RM3 (USD1) per fruit and they usually have a durian buffet like RM 9(USD 3) per person where we can eat as much as we want! I’ve tried this once but turned out this is a waste because it became much more expensive if the cheap ‘durian kampung’ is available. 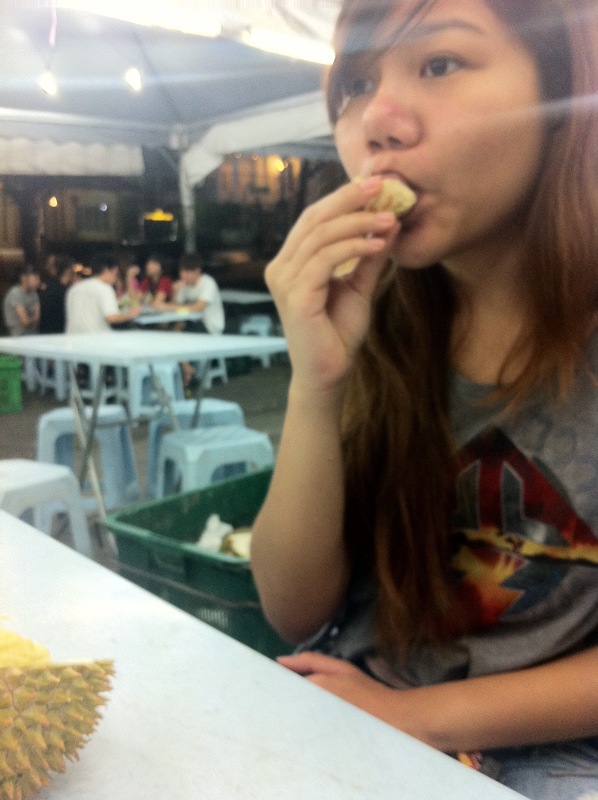 Usually durian kampung is much nicer and so cheap! RM 10(USD3) for 3 durians hehe. 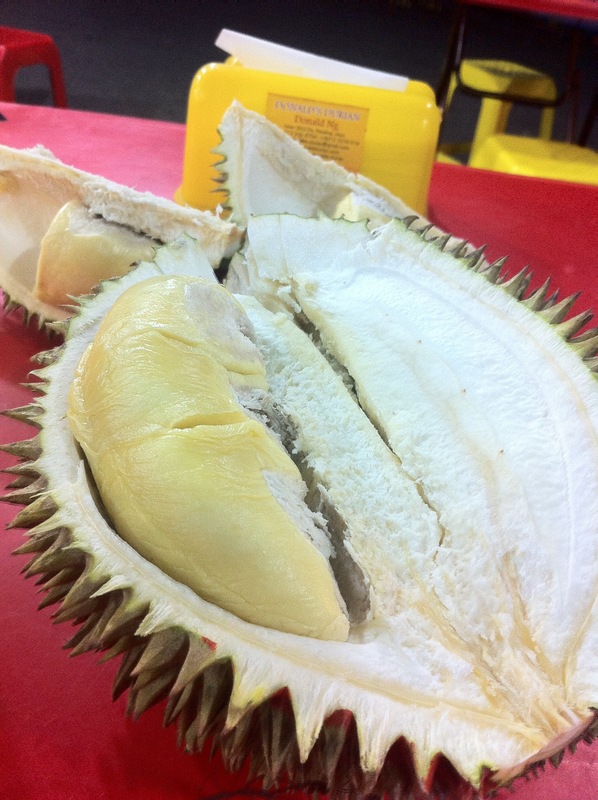 It is smaller in size meaning I can enjoy as much durian as I want. I find this more delicious than the pricier huge durian. Anyway because now is not the durian season so they are more expensive. 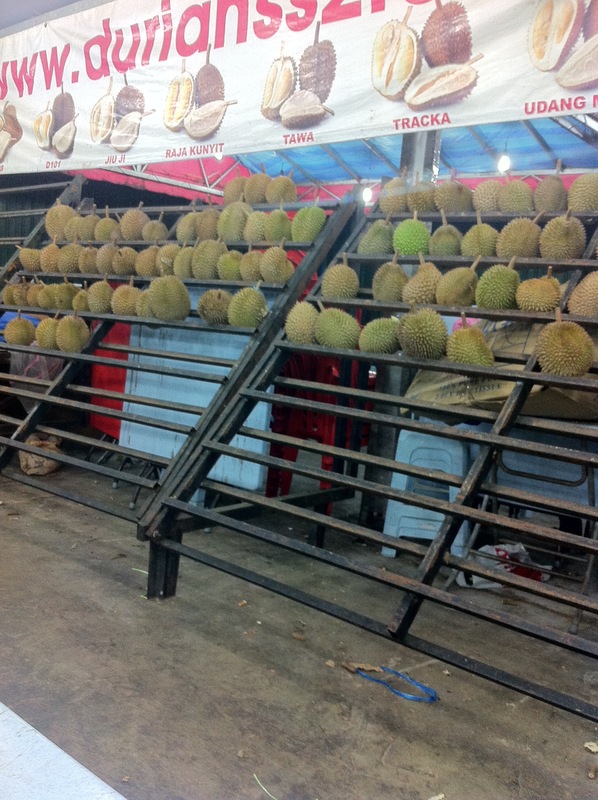 We had ours at RM18 (USD 6) per kg (yes, they weigh the durian and normally durian is about 1-1.5 kg). We had our durians with coconut drink 100% original right from the coconut itself :D.
Durian and coconut drink turned out to be such an amazing combination as the drink helped to reduce durian’s smell and it’s effects (making our body feels hot) usually caused by eating too much durian. 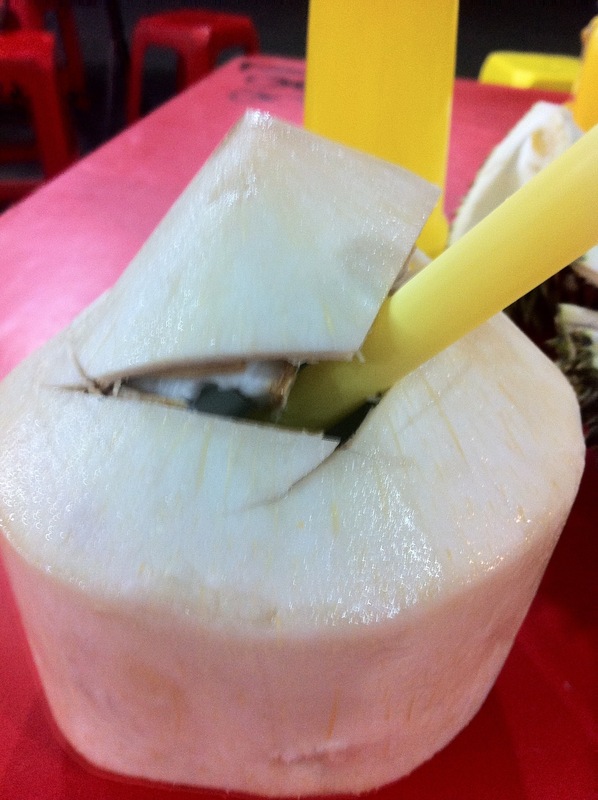 Besides I love to eat the white stuff in the coconut too! It’s nice to scrap them off it’s wall :). Overall we ate 3 durians for dinner and were very full indeed.